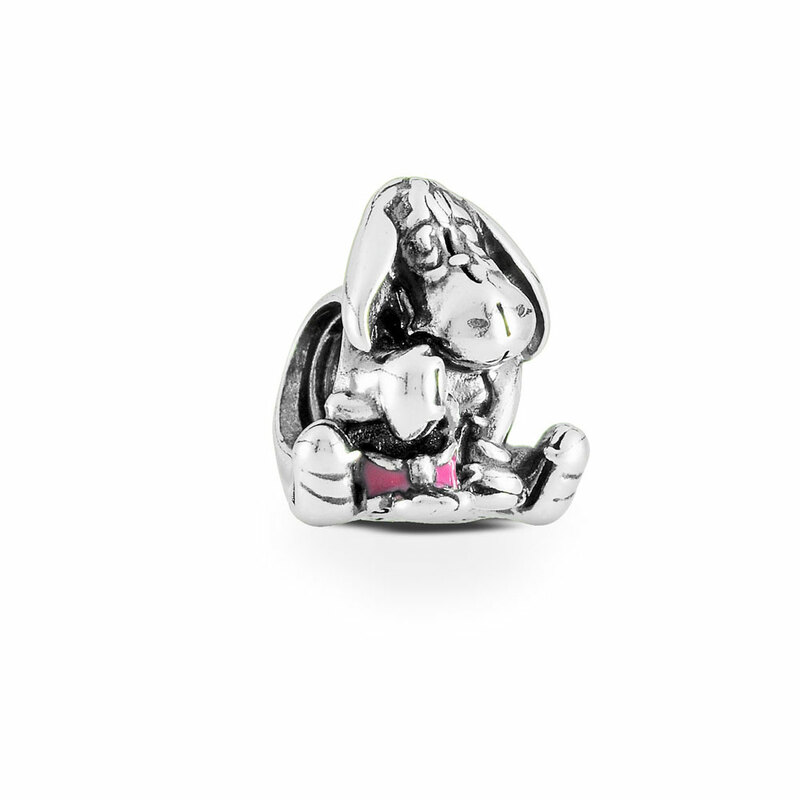 Just like the animated version, this 3D charm version of Eeyore is embellished with a bright pink bow on his tale. The colourful bow offset's the charm's natural silvery grey colour making this a true depiction of this beloved Disney character. Available online or in-store.This item is a single charm only. Bracelets sold seperately. Styling images may show this charm on a bracelet as styling inspiration. Disney Eeyore Charm is rated 4.7 out of 5 by 37. Rated 5 out of 5 by mrodriguez from Beautiful Charm Husband bought me Eeyore for my birthday and im so glad he did. The online picture doesn't do it justice, it is absolutely beautiful and looks great on my bracelet. Rated 5 out of 5 by pammie from Love all of the details on this charm. Very happy with this charm and enjoy having it on my bracelet! Rated 5 out of 5 by Suzi73 from Beautiful eeyore Bought this for my daughters Christmas so she hasn't seen it yet but I'm so pleased with it, I'm thinking of buying a Pandora bracelet just so I can buy my favourite pooh bear. Rated 5 out of 5 by Bob Steinke from Absolutely beautiful jewelry! The Disney collection is amazing and my daughter especially loved the Eeyore charm and the bracelet. Perfect birthday gift!